The last 2 weeks I had a couple of interesting meetings in Amsterdam and Zurich with business people who apply business model thinking in very different domains. These meetings are part of my quest to understand how people use the concept of business models (BM). It was also a pleasure to see how three of the five use my business model canvas (9 building block approach) to fit their professional needs. Gert is an experienced investment professional with his own firm who uses the business model canvas to spot differences among companies in the same industry. He uses our structured approach to describing business models as a tool for comparison. Here is roughly how it works: Gert first sketches out the business model of a company he potentially wants to invest in. Then he sketches out its competitors to compare if there are similarities or differences. 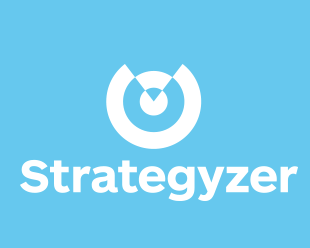 It allows him to search for distinct strategic differentiators that give a company a competitive advantage. I’m sure we will have the pleasure to hear more about Gert’s approach personally in the near future. 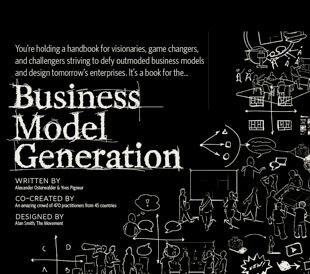 Bas is an innovation consultant Capgemini, who applies the business model canvas within an overall approach at his firm. He applies it to help companies align and strengthen their portfolio of projects with their overall business model. Marcel is a strategy consultant at the Boston Consulting Group (BCG) who is starting to look at business models in private banking for his PhD dissertation. He is aiming at describing the business models of a large number of private banks in order to classify them among groups. This will give Bas a small number of private banking business model types, which he will then assess based on a number of industry trends. Edward is one of the business model thought leaders at IBM. The company emphasizes business model innovation since their 2006 and 2008 Global CEO Study showed how high the topic is on CEOs’ agendas. IBM distinguishes between three types of business model innovations, which are innovation in industry models, in revenue models and in enterprise models. Unfortunately, IBM’s business model innovation process does not seem publicly accessible. Patrick is an entrepreneur who already wrote about business models 10 years ago when he worked on his PhD dissertation on the topic. Just like myself, Patrick is currently working on a book on business models, which I am sure he will present on this blog. Patrick’s focus will very much be on the change process. In this regard Patrick made a very interesting comment. In our discussion he pointed out that business model innovation is very much about “un-learning”. In order to do things in new ways, we have to be able to forget the old ways of doing things. This applies for the customer side just as much as for the company side.